“You could get killed for that!”: Where did Nike apparel money go? 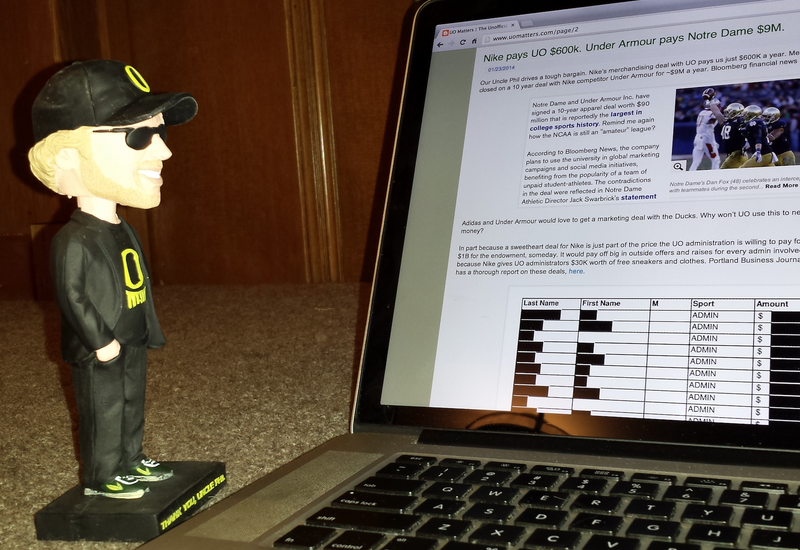 3/5/2015: No, of course I’m not talking about the $30K that UO administrators get each year as part of the lousy apparel contract they signed with Nike. 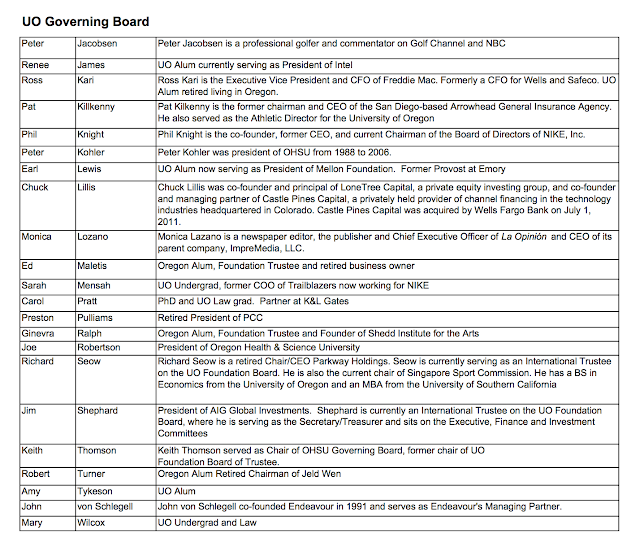 That seems like an interesting potential conflict of interest, but I’m sure UO’s Office of Internal Audit has carefully vetted it, just as they must have done with Vin Lananna, the UO Foundation, Track Town, and UO’s lobbying efforts. … In the documents, Nike provided detailed instructions on how the $100,000 yearly honorarium was to be used (to cover travel costs and phone bills, among other things). No details were provided for the commitment bonus, though, even after the former employee, who worked as an administrative assistant and in other jobs at Athletics Kenya for more than 10 years, wrote to a Nike executive asking him. 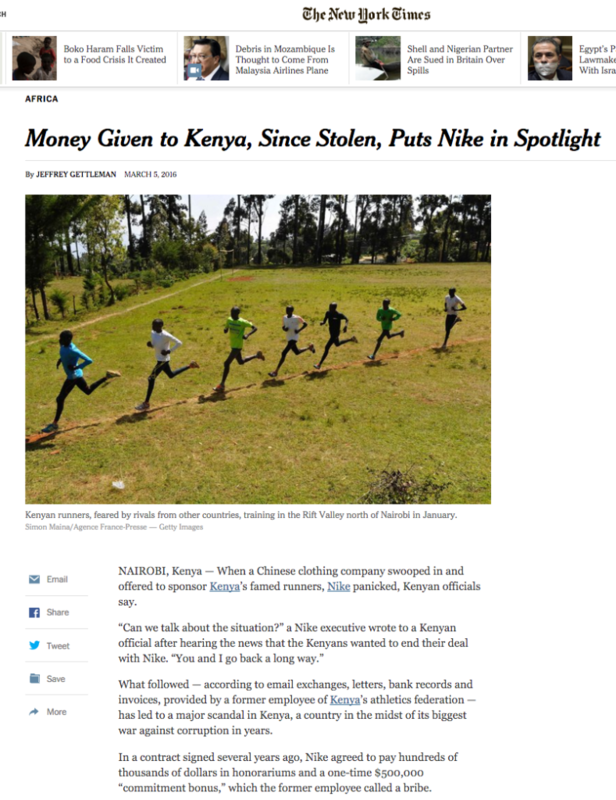 In a sworn statement provided to Kenyan investigators, the former assistant said the $500,000 commitment bonus was “bribe money from Nike” so that the top officials could pay back the $200,000 from the scuttled deal with the Chinese company and then make even more by agreeing to sign up again with Nike. The former administrative assistant requested that his name not be revealed, saying it was extremely dangerous to expose high-level corruption in Kenya — a sentiment shared by others. “Put that away! You could get killed for that!” exclaimed a member of Athletics Kenya’s board, his eyes widening when a reporter pulled out the amended contract from Nike listing the $500,000 commitment bonus during an interview at a quiet Nairobi restaurant. UO has its own apparel deal with Nike, some stories about that are below. The public records were heavily redacted by Dave Hubin’s public records office, so it’s unclear whether or not the same UO administrators who signed off on the deal – which doesn’t seem that good for UO – get free shoes or other swag from the $185K annual “discretionary apparel” budget. And if they do, would that be illegal? The UO / Nike contract and discretionary apparel list are here, and Matthew Kish’s excellent database on these deals is here. Matthew Kish has the story in the Portland Business Journal, here. McElroy was hired from the Dallas Cowboys in May and charged with increasing the department’s revenue. The Adidas deal does that. It’s worth $4.2 million annually through 2023, more than double the $2.1 million the university will receive from Nike this year. That’s at Arizona State University. Nike’s contract with UO is far stingier – just $600K in cash. Doesn’t someone have a fiduciary responsibility to get a better deal on this? 12/9/2014 update: Which football championship team has the worst Nike contract? The Ducks. – Ohio State: $2.5 million in equipment and apparel and nearly $1.5 million in cash. The university also gets $150,000 in discretionary apparel, typically for athletic department personnel. – Florida State: $3 million in equipment and apparel and $1.4 million in cash. – Alabama: $2.8 million in equipment and apparel, $780,000 in cash. – Oregon: $2.2 million in equipment and apparel and $600,000 in cash. The university also gets $185,000 in discretionary apparel, typically for athletic department personnel. But hey, we’re #1 in “discretionary apparel”! 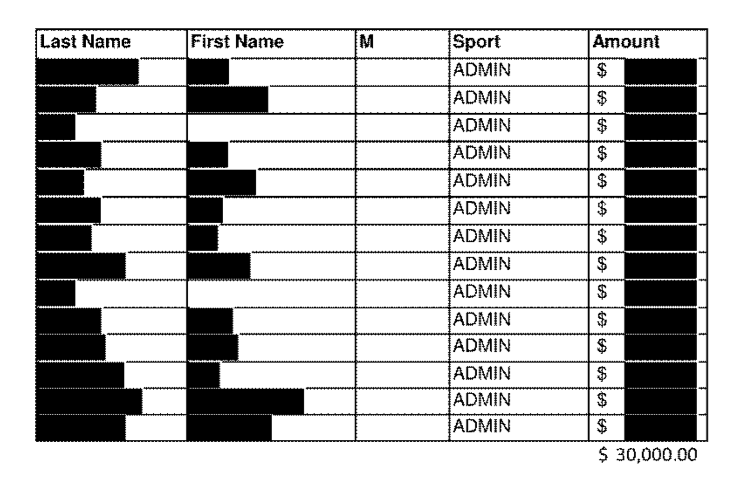 From what I can tell from Dave Hubin’s redacted public records, $30K of that goes to our colleagues in Johnson Hall, presumably including some who signed off on the contract. So they’ll be looking good on their Jan 1 Rose Bowl junkets. Nike just signed Tennessee to a new deal for $1M cash a year, plus $2M signing bonus. Adidas and Under Armour would love to get a marketing deal with the Ducks. Why won’t UO use this to negotiate with Nike for more money? In part because a sweetheart deal for Nike is just part of the price the UO administration is willing to pay for the vague promise of $1B for the endowment, someday. It would pay off big in outside offers and raises for every admin involved. And perhaps also because Nike gives UO administrators $30K worth of free sneakers and clothes. Portland Business Journal reporter Matthew Kish has a thorough report on these deals, here. Phil Knight’s announcement last week that he plans to relinquish his role as Nike chairman and move most of his company stock into a limited liability company was not surprising. He’s 77 and has focused increased attention in recent years on non-corporate matters, including University of Oregon sports and the Knight Cancer Institute. A little succession planning makes sense. Knight and Nike have endured their share of controversy over the years – from scrutiny of labor practices at overseas factories to the current investigation into the company’s sponsorship deal with the Brazilian national soccer team. Knight also has been intensely private. And at times, he has flexed political muscle. How many people can convince a governor to call a special session just to address an issue – in this case tax rules – affecting his company? [UO Trustee] Ginevra Ralph hesitated when she brought up the subject to fellow members of the University of Oregon Board of Trustees recently. She could imagine the reaction before she spoke: She’s a prude. She’s an enemy of free speech. Or she is the type of person who would blame the victim in a sexual assault. UO psychology professor Jennifer Freyd, meanwhile, has attempted on and off since 2007 to study the cheerleading program, but she said the athletic department has declined her requests to interview program participants. “Is there any consideration of whether the uniforms and/or choreography might (or might appear to) convey or encourage exploitive sexuality?” Freyd asked. I know VP for Development Mike Andreasen is doing his best to get a little for the academic side, but how can he compete with AD Rob Mullens, and this? Alexandra Wallachly from the Emerald has posted a report on the meeting, here. On the Board meeting Thursday: I think it’s important to show up at the Board meeting Thursday at 8AM in the Alumni Center. While the board has backed off on the latest power grab, there’s plenty of potential for surprises, those making public comments deserve some supporters, and it’s important that the Board sees that the faculty take what’s been happening very seriously. And I hear someone will be passing out “Save our Senate” buttons. On the Senate meeting today: I got there at the very end. I’d love it if someone would send me some notes or post them. People tell me it was standing room only, and filled with dismay and outrage over what’s going on with our administration. The Senate passed an amended version of the motion below, opposing the Triplett/Park power grab. The fact that they did this even after Coltrane announced the Board would withdraw the motion at his suggestion shows how deep the mistrust of Johnson Hall has become. Coltrane and Bronet need to take charge of that snake-pit, decisively and soon. The Senate then apparently wrote and approved a second motion, directing the Academic Integrity Task Force to investigate the administration’s “alleged plans to establish groundwork for disciplinary procedures” against Philosophy Dept Chair Bonnie Mann and other faculty who refused to issue “fraudulent” grades. Apparently there is also an accusation that a CAS administrator not only gave out grades for courses, but then raised them after students complained. I don’t know if the TAIF will also investigate that. I’ll post the video when available, and I expect the motions (passed unanimously?) will be on the Senate website soon, here. Meanwhile check Try Bree Nicolello’s twitter reports on the meeting: https://twitter.com/breenicolello. Sorry, I’m at the Board committee meetings, no live-blog. 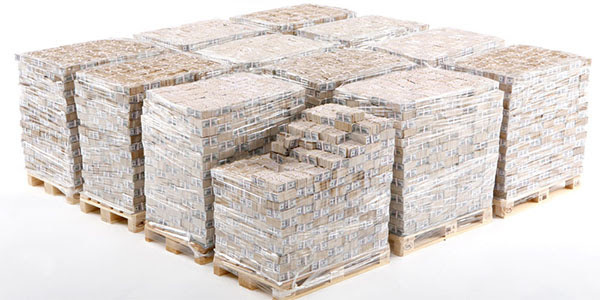 Duck athletics has $350M so far, expects another $430M from $2B fund drive. Remainder for academics. 10/19/2014: That’s half the $700M raised so far in this drive, plus 1/3 of the remaining $1.3B goal, based on the Andreasen quote below. Can anyone explain why the academic side is still subsidizing the athletic department’s bills? 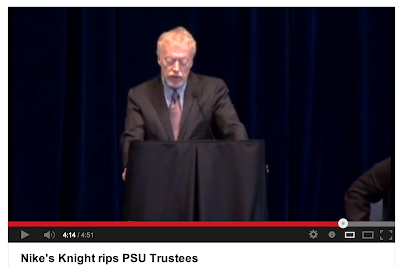 There were a lot of rumors last night that Phil Knight was going to donate a billion. Do you have any idea where those rumors started? About half of the $700 million given to the University of Oregon toward its $2 billion fundraising goal — announced Friday — was earmarked for athletics rather than academics. The tide is turning, UO Vice President for University Advancement Michael Andreasen said Saturday. His rule of thumb is that the university should be two-thirds academically focused in its fundraising. 10/17/2014 10PM wrap-up: Coltrane announces $2B goal, $700M in hand, Knight doesn’t show. About 1/2 of that $700M went to the jocks. Oregonian report here. 8:06PM update: Rumor is that Klinger and Clevenger got the RG reporters excluded as payback for The Bowl story. And apparently UO’s Strategic Communicators believe that the Oregon Daily Emerald news staff has been exposed to Ebola. They’ve got a pretty good report anyway, here. 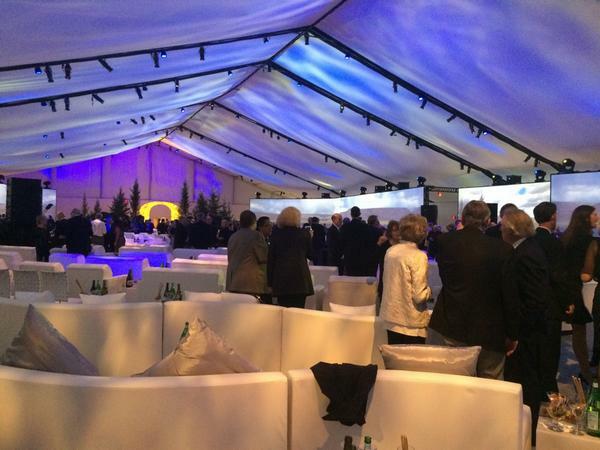 But the Oregonian’s Allan Brettman is embedded in the big white tent: Follow him on Twitter, here. Update: Reporter pours cold water on Knight donation rumors: Matt Kish in the Portland Business Journal, here. Betsy Hammond posts the rumors about my rumors about EW rumors about the same rumors I heard, in the Oregonian here. 10/17/2014: Knight money to fund conversion of Mac Court to Academic Center? Latest rumor is that Knight money will go in part toward converting Mac Court into a Student Academic Center. This would allow Rob Mullens and Tom Hart to continue to isolate the jocks from the general UO student population, while reducing the bad blood between academics and athletics over the millions in subsidies we’ve poured into the athletic department for the Jock Box and the Matt Court land over the past 5 years. See the upcoming UO Senate legislation here. The Eugene Weekly has a new rumor on my rumor, which was mostly based on their rumor, or a rumor I got from the same person they got it from, here. Maybe Chief Communicator Klinger will have something solid in the AM. Or maybe it’ll be another 14 years. One report says mostly for scholarships. 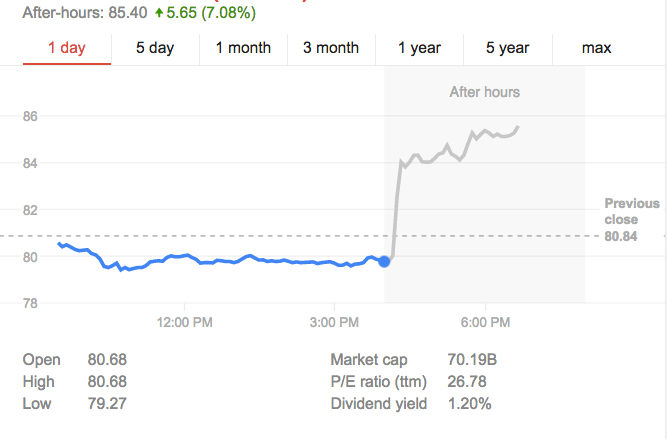 I wouldn’t put much stock in the details at this point, but Friday does seem like the day for the announcement. The gift announcement will be made in the giant white tent being erected in Hayward Field. Presumably this will be the largest higher education donation in history, and a game changer for UO’s ability to perform its academic mission. Good for Uncle Phil. That’s been the rumor since 1997. The Eugene Weekly reports the new rumor is that there will be an announcement this month. Gifts always come with strings, these have presumably been negotiated between Knight (or perhaps Kilkenny or Slusher) and Chuck Lillis. The BOT has to approve the deal for any gift over $5M, which presumably means the details will be public. 10/12/2014 update: UO Alum Marc Mooney asks “Did the U of O Become Faber College (with a really good football squad)?”, here. Hint: That one’s not from Dev. Sports merchandising deal post here. 1/20/2014 update: Oregonian reporter Christian Gaston predicts the legislature will promise OHSU the $200m in the February session – will they add in something for UO? Nope, WOU’s Peter Courtney is still in charge. Video here. Willamette Week has an interview with the OHSU researcher and administrators involved. (More here.) Probing questions about the potential benefits, Knight as a philanthropist, and the opportunity cost to other state causes. The fundraisers I’ve talked with emphasized how the matching requirement of Knight’s gift was going to stretch Oregon donors thin and harm UO’s campaign. 9/21/2013: For cancer research at OHSU, if they can match the gift within two years. In the Oregonian. In other news, Nike refuses to release information on its political contributions. In the Oregonian. I am an expert on charitable giving, and I think that Knight’s OHSU pledge is great. It’s large, generous, and the matching requirement is a common and effective fundraising technique that goes back at least as far as Andrew Carnegie and his local library gifts. I’m no cancer researcher, but I can’t see any reason to think that OHSU won’t spend the money effectively. On the other hand, the second story, about Nike’s refusal to report most political donations, ought raise many red flags about secret political influence. This is true especially in light of all the SB 270 lobbying and the weakening of faculty representation, and the special tax breaks the legislature gave Nike earlier this year. 8/16/2013 update: The good governor’s nominations are due Monday. Jonathan Cooper has the story for the AP, in the RG. The official version is that they decided to withdraw their names from Gottfredson’s bizarre 50 person list of nominees. We are supposed to believe that President Gottfredson neglected to get their permission before nominating them? It’s possible, since last I heard he’d put Jim Bean in charge of dealing with the board. Or maybe this petition from students had an effect. 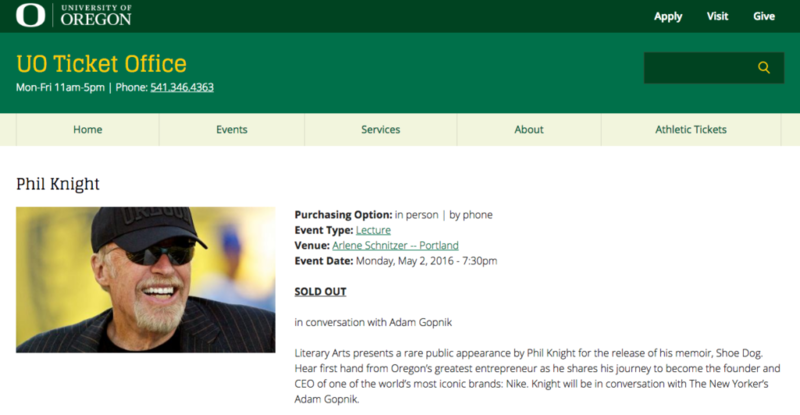 PORTLAND — Nike co-founder Phil Knight has asked Gov. John Kitzhaber not to consider him for a spot on a new governing board for the University of Oregon. 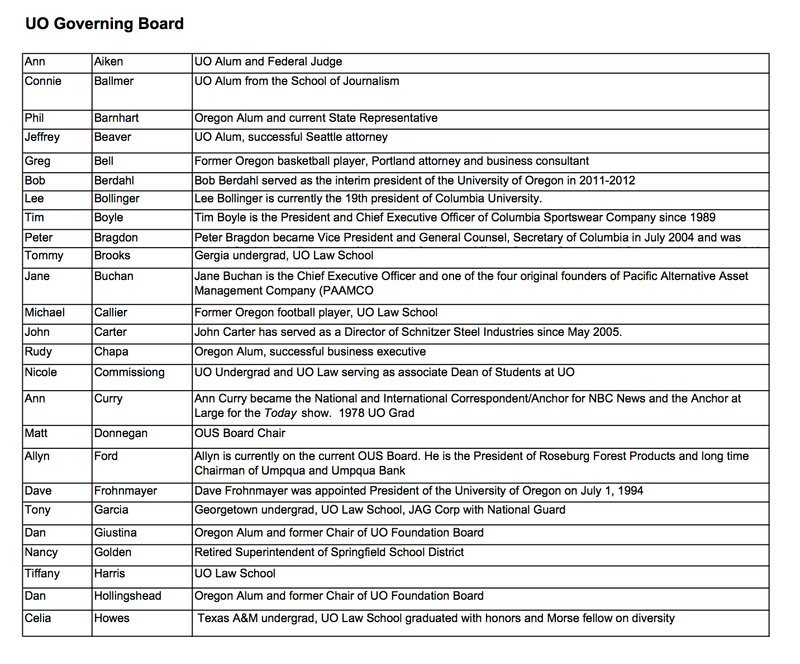 Knight was one of nearly 50 people recommended by UO President Michael Gottfredson for the 11- to 15-member board. Knight’s assistant says in a letter dated Aug. 9 that Knight was honored to be included but would like to have his name withdrawn from consideration. The letter says Knight will continue to support the university and looks forward to working with the new board. Two other prominent officials also withdrew their names: Dave Frohnmeyer (sic), a former attorney general and UO president, and Ann Aiken, a federal district judge based in Eugene. 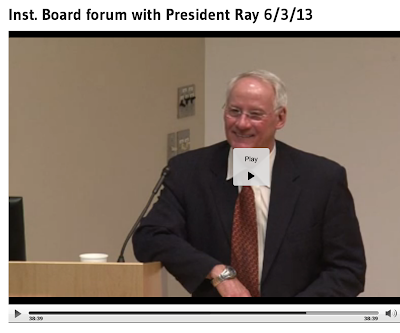 7/31/2013 update: Diane Dietz has an excellent story in the RG, comparing the approaches of OUS President Ed Ray and UO President Mike Gottfredson on the role of independent boards. Read it all. No quotes from Gottfredson of course, I don’t think he’s done an interview before or since this one with Dash Paulson for the ODE on Jan 28. Gottfredson’s handling of this has been a disaster. First the “asked and answered” meeting with the faculty, his evasive written comments on the implications for the Senate and Constitution, the appointment of Bean to write the by-laws, putting Geller and Rudnick in charge of negotiating shared governance and refusing to let them even mention the Senate in the CBA, and now this bizarre list of trustee recommendations to Kitzhaber. 6/20/2013: Louise Bishop, English and HC and co-chair of the FAC this past year, defends Gottfredson in an op-ed in the RG here, in reaction Gordon Sayre. 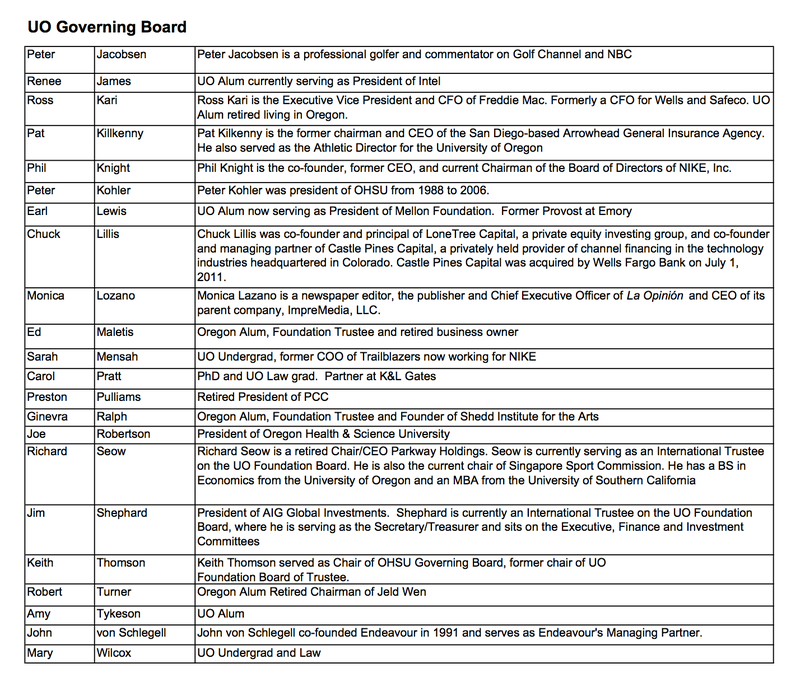 … We may never know why Lariviere was fired, but it seems obvious where Gottfredson’s priorities lie: He wants a UO board stacked with wealthy donors such as Nike co-founder Phil Knight or his allies. The unstated promise is that these boosters will give millions to the UO that they were unwilling to give before they could be appointed to the board. 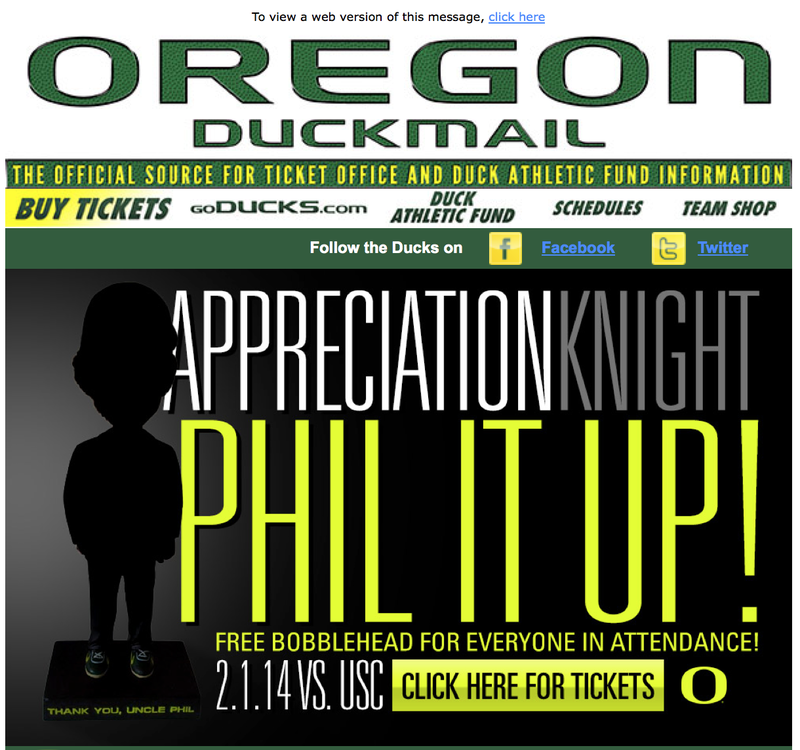 Yet for nearly a decade Knight himself has given money only for UO athletics, not for our academic mission. In light of that history, what should the UO, and Eugene, really expect from an independent UO board? President Gottfredson needs to deal openly with UO faculty, staff and students and clarify his plans and priorities for budgets, tuition, salaries and academic excellence. This Oregonian story reports that Knight has appointed Duck athletics booster Pat Kilkenny as trustee of several Nike stock trusts. Not exactly a good sign for the academic side for anyone who has followed Kilkenny’s successful efforts to use academic money to subsidize sports. Some key state lawmakers remain lukewarm about a proposal that would create independent governing boards at the University of Oregon, Portland State University and Oregon State University, partially freeing those institutions from state control. But whispered pledges that passing the policy this year would trigger a windfall in private donations to those institutions — and especially to the UO — could ramp up pressure on a state Legislature that, in recent years, has cut its spending on Oregon’s public universities. Several legislators say they have been told recently that creating an independent board at the UO this session would result in “game-changing” private donations to the UO’s $477 million academic endowment. A $2 billion endowment would pay out about $70 million a year. Counting current state construction bonds, that would be about as much as current state funding – which presumably would then shrink but not totally disappear. So this is not exactly a game-changer, but it’s certainly significant. We’ll trade the bureaucratic putzes at OUS for a bunch of athletic booster control freaks. I’m for it, but it’s going to bring a host of new problems along with the money. Join the union so you get a vote, and support Rob Kyr and Margie Paris in the Senate. These institutions are going to be increasingly important to making sure us faculty retain a modicum of control over UO’s fate. Follow the Senate bill here, House bill here, and keep an eye on Gottfredson’s efforts to subvert faculty power during the union negotiations, here. 2/28/2013. 12/10/2012: The draft legislation for independent university boards, LC 978, has been posted, here, by the House Higher Ed committee. That committee has no Eugene representatives. From what I can see the bill does not require the appointment of voting faculty representatives – even though the OUS board has two. be formed and maintained as provided in this section. provided in ORS 171.562 and 171.565. (c) The institutional board must include one person who is a member of the State Board of Higher Education or Higher Education Coordinating Commission. member of the institutional board. for each nonstudent member of the institutional board is four years. board, if any, is two years. The elephant in the room is Phil Knight. His Oregonians for Higher Education Excellence has raised $445,000 to push this thru the legislature, and hasn’t yet spent a dime. Knight’s dislike of the UO faculty goes back to the Worker’s Rights Consortium fiasco. And now we’re unionized. This could get ugly. The meeting consisted of executive athletic director for Nike liaison Jim Bartko, Coach Bellotti, UO donor and businessman Randy Pape, donor and eventual athletic director Pat Kilkenny and Nike chairman and UO alumnus Phil Knight. With open minds and open checkbooks, the five of them agreed that, with enough support, athletics at the UO could reach unseen heights. Bartko says it was in that meeting following the Cotton Bowl that Pape, Knight and Kilkenny stepped up to say they were interested in funding whatever it took to get to the next level of play. “We all agreed that facilities were what was needed to make it to that next level, so the next day after the meeting we got to work on the Moshofsky Center,” Bartko says. And a few years later UO was spending millions to buy out Bellotti, our students were subsidizing the AD’s salaries and athletes tutoring to the tune of about $5 million a year, and the academic side was paying athletics $467K a year for Mac court.